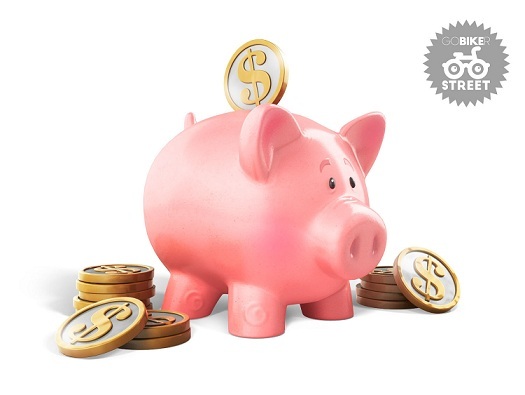 Remember how kids (and adults, too) used to save pennies, coins, and notes in physical piggybanks some decades ago PiggyBank.NG is an innovative, digital, and new-school version with an improved, fun, and rewarding model of saving. Basically, Piggybank.NG is a platform available on Web, Android, and iOS that allows individuals with debit cards easily save and invest money with ease. Asides from curtailing excessive and uncontrolled spending by allowing users save periodically towards specific goals or targets, PiggyBank.NG adds a bit of fun, reward and convenience to the used-to-be-difficult act of saving. But before delving to the details of the saving platform, let’s have a look at the fintech startup’s history. Flexible: Users can save money daily, weekly, and monthly. Actually, you can save anytime. 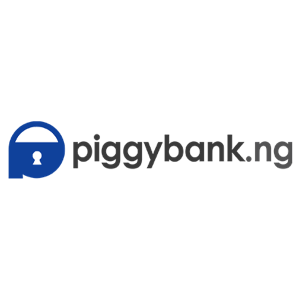 Rewarding: Unlike the traditional pink rubber pig-shaped physical piggybanks where you get exactly what you save, Piggybank.ng pays up to 12.4% interest per annum on any amount you save on the platform. Convenient: Piggybank.ng saves you the stress and hassle of having to remember to save as it automatically deducts specifies amounts from your bank account at specified periods. Safe and Secure: While Piggybank is literally not a bank, it is a partner with United Bank for Africa (UBA), a renowned and trusted bank in Nigeria and Africa. That said, Piggybank.ng doesn’t have access to your savings as funds are monitored and held by UBA. More like you are saving in a bank, but not directly. Also, PiggyTech Global Limited, the company behind Piggybank.ng recently acquired a microfinance bank (Gold Microfinance Bank Limited) which is licensed by the Central Bank of Nigeria (CBN). Drives commitment: Unlike regular bank saving accounts and traditional piggybanks where you have access to your money and can break your savings anytime, Piggybank.ng fosters saving commitment and discipline. Ever since the company launched in 2016, Piggybank has, year-on-year, introduced a number of features and plans to even help its users spend less exorbitantly, save better and achieve their saving targets more conveniently. Autosave is one of the earliest features of Piggybank.ng platform right from inception. 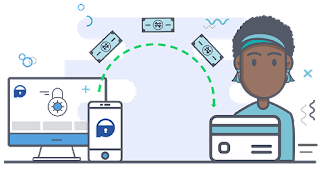 Basically, with AutoSave, Piggybank.ng automatically debit a fixed amount of money (as set by the user) from a users debit card. Auto-debits period can be customized to be daily, weekly, or monthly. As a cherry on top, users have the ability to set the exact hour they want the set-amount debited from their accounts. Interestingly, there’s a ‘modify AutoSave instruction’ button that allows users edit the amount and frequency of their AutoSave plan. Quick Save enables users add funds to their saving plans anytime and any day. Should you prefer to save any amount you can afford to stash any given time you have spare cash, the Quick Save feature comes in handy; amount, time, and frequency aren’t fixed here. Quick Save can also be used by individuals on AutoSave plans. For example, you save N10,000 every month. But on Month 2, you had no money in your bank debit card. 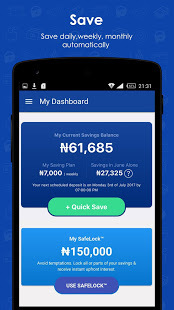 You can use the Quick Save feature to add N20,000 (i.e Month 2 + Month 3) to your AutoSave plan to keep up with your saving target. NOTE: Quick Save on Piggybank.ng has a limit of NGN 500,000 per deposit. This means you can only add up to N500,000 at once. You can, however, use the Quick Save often multiple time in a day. So if you need to save NGN 2 million, you’d have to spread it into four (4) NGN 500,000 Quick Save deposits. SafeLock is actually more than a feature on Piggybank.ng. See it is a short-term investment sub-product within the app which allows you earn money for —wait for it— saving money. Yeah, Piggybank.ng pays you for saving. How rewarding. Here’s how SafeLock works: you set aside a fixed sum from your normal (Core) savings account which you would not have access to until after a set period (10 – 1,000 days). Depending on the duration of SafeLock, users can earn as much as 34% interest on a SafeLock-ed sum. Also called Savings Challenge, Target Savings allows you save towards a personal or group goal and get paid 10% interest once you hit your target. The Flex Account is where all interests from your saving plans and targets are paid by Piggybank.ng. Earnings from this account can be withdrawn anytime and likewise, transferred to other saving plans. If you set a custom free withdrawal date, the next that which you’d be able to withdraw saving for free will be automatically set to 3 months after the last withdrawal. Choosing to request for funds outside your custom withdrawal date or that of Piggybank’s will attract a penalty fee of 5% of the withdrawal amount. While there is no limit to the amount users can withdraw, a N3,000 minimum withdrawal limit is in place on the platform. Withdrawal is almost instant and takes not more than 3 working hours. Funds are sent to the bank account you have set to your Piggybank.ng account at the time of withdrawal. Lastly, it is worth noting that you can only make a withdrawal request only once in 24 hours. Automates the saving process as a fixed amount(s) is automatically deducted from your bank account at specified dates; you can no longer forget to save. Helps keep a better track of your savings as users can easily see how much they’ve saved up and how far (or close) they are to meeting their savings target. One app, multiple savings targets. Improve management and planning of finances. Withdrawing funds is just as easy and fast as depositing them. Need more Piggybank.NG information? The platform’s Frequently Asked Questions (FAQs) page has all you need.